On this page I put together a wild list of prices in the Philippines which you might find interesting for your daily needs. With this price list, you can also easily calculate you own Cost Of Living in the Philippines. Important Advice : Even if you find some of this prices unbelievable low, compared to your home country, you should still not pay more than they ask. It can't be in our interest, to flood the Philippines with our prices and destroy the local price structure. You should further think about on how you are ripped off in your home country, as you can see how cheap some goods or services can be. Refrigerator: 12.000,- to 20.000,- Peso and up! 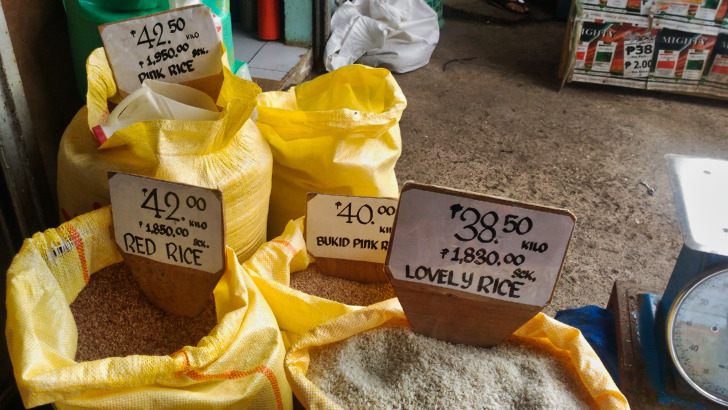 Prices are taken from local grocery stores and shopping malls on Bohol Island, Visayas, Philippines. It is known that meat, fish, fruits and vegatables are being sold cheaper in other provinces, like Mindanao.